As a guitar teacher I was often called upon to fix broken guitars. Sometimes people can't afford to just buy a new instrument. Do you need to know how to fix a broken guitar neck? Are you are a parent of small, busy and accident-prone children? Do your children have music lessons or play guitar in school? You may not have the money to buy a new guitar for little Johnny B Goode when he knocks his guitar flying across the room and the neck sheers off. You might not feel inclined to "reward him" for breaking his guitar either. Music shops will almost certainly tell you it is not worth fixing, but a broken guitar neck can be easily mended at home. You only need a few household objects and some determination. This page teaches you how to fix the impossible broken guitar necks! After years of teaching guitar and seeing distraught children give up playing guitar after these unfortunate accidents, I got my head together with Colin, who is always very practical, and we came up with an emergency method that actually does work for cheap kid's guitars and is simple enough even for me. If repairing the neck gives you another six months before you have to buy that new guitar then it is worth doing. You can maybe save the new guitar as a Christmas or birthday surprise and meanwhile the old guitar can take the battering of the journey to and from school. Chances are with this method it will last a long, long time. Image credit - all images of the broken guitar were photographed by me. To be clear, we are talking about a child's guitar that has been beheaded at the shoulders! This one fell off a wall hanger. This is one reason I do not recommend you hang your guitar on a wall! I have also fixed several guitars with broken headstocks, but that is a different game and not one I recommend you take on without proper clamps and the knowledge that it is touch and go anyway! This is an emergency repair on a beginner instrument and intonation may not be exact at the 12th fret, but how many beginners play up "the dusty end" on a nylon strung acoustic? In my experience tuning discrepancy is minor in normal beginner use if you do the job properly - and this bad break remained surprisingly in tune at the 12th! Two screwdrivers or strong thin pieces of wood, plastic or metal. Is it fixed with dowels or simply glued? How the neck is fixed impacts on two things, the severity of the break and the ease of fixing. What this means practically is that a dowelled neck is harder to sheer off totally and easier to fix than the cheaper non reinforced neck - but do not despair! Even if it is not dowelled it is repairable but will need a lot of care and patience to do. 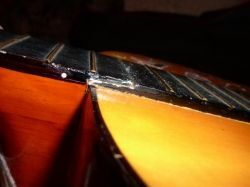 Realistically, if the neck breaks on a kid's nylon strung guitar, you are likely to also have a lost 12th fret, so this type of repair is not feasible for a guitar belonging to an intermediate or advanced player. Here is a decent set of guitar repair resources. I did my basic learning in the piano workshop of a music store. These days there are proper courses in instrument repair and manufacture that kids can go to if they want a career as a luthier, but these books are a great help to the keen DIY repairer. First loosen and remove all the guitar strings. The string tension will work against the joint setting properly, so you must do this. I usually loosen the strings, remove them at the bridge, then tie loosely around the headstock. There is little point replacing the strings until you know if the guitar repair is going to be permanent! In this instance, it was an unreinforced neck too, so I wasn't sure the repair would take. If observant, you will notice the top nut is missing too - this particular student had lost the Nut and Saddle, so that had to be replaced as well. fret 13 was also long gone, but that didn't matter too much. Cleaning up is an essential first step when fixing a kid's guitar. Removing all loose splinters and old, deteriorated glue will ensure a better chance of success. I do not plane the area smooth though, as leaving it rough ensures a greater surface area for the glue to stick to and makes for a stronger repair. Apply glue thinly to both sides, it only has to be thin, because a lot of this glue will be squeezed from the joint when pressure is applied later. At this point, bring the two surfaces together as accurately as you can. If the guitar has dowels this will help with neck placement and keep it together, if it does not, get an assistant to hold the neck in place flat on a table while you complete the next step. You don't own a guitar repair shop I take it? If you check out a luthier's shop you will see a myriad of amazing jigs and clamps just for the purpose of construction and repair, but experience tells me a professional neck reset is probably going to cost about 3-4 times as much as a new guitar! We take what we can get, and common or garden string is what you need here. 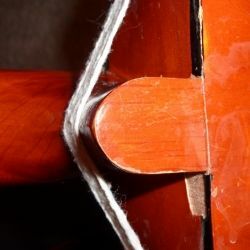 While your assistant makes sure the neck stays fixed accurately, wind some string around the guitar, knotting it in several places as you go. I don't recommend nylon string as the breaking strain is so high you could easily crush the wood, sisal. hemp or cotton twine will have a natural elasticity that will offer some protection. You are going to use string to construct your guitar clamping device. 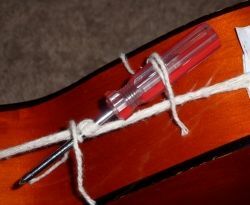 Choose carefully, because this string will have to be tightened like a tourniquet to put pressure on the repaired joint! Fix It or Bin It.... - What is your view? Would you fix your kid's guitar or not? Yes, it would give me time to save for a new one and perhaps teach him to be more responsible. HomeKitchenBathB: fix it up nice! then start saving for a better one! intermarks: Fix it of course. Asher Socrates: I sure would.. A good old guitar sounds great, and to bring it back to life would really make me and my son very proud. writerkath: Well, I'm guilty in that when my stepdaughter's guitar broke after years of disuse and general non-interest, we tossed it. BUT, if the child really were interested, I think it would be a great learning experience - especially if you allow him or her to participate in the repair. WriterDave: With this economy, definitely! Robert Zimmerman: Depends on if it had a clean break. Luckily, I have not had to do it! Heidi Vincent: Absolutely! Money doesn't grow on trees. Terrie_Schultz: I always prefer to fix something if it is fixable. aquarian_insight: I'd fix it! As you say, it'll teach him or her to be more careful. 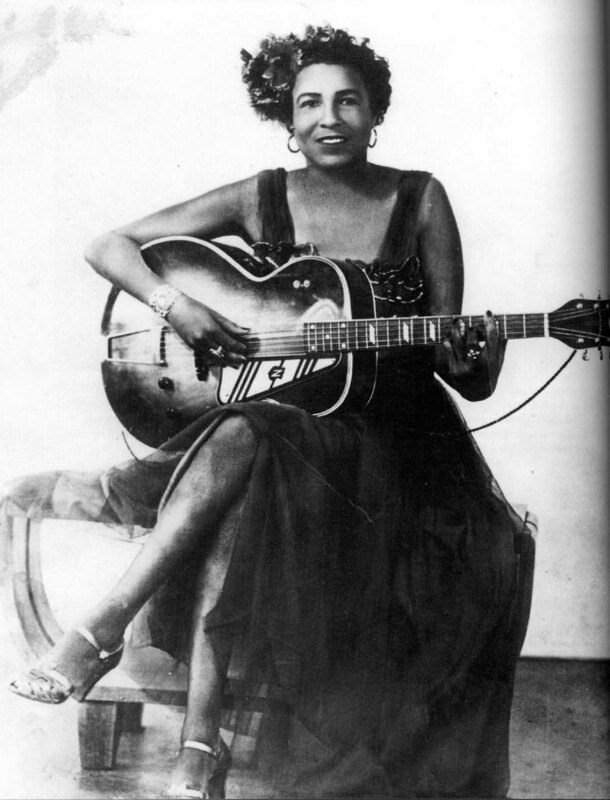 Lisa Marie Gabriel: In one instance I know, the child did this to two successive acoustic guitars. The first time the parents replaced it immediately with another acoustic (though he had requested an electric). The second time it happened they asked if I could fix it. I think they were suspicious of the circumstances. Anyway it was fixed and held up well. A year down the line after lots of practising they bought him an electric guitar kit. He still played his acoustic and took care of both instruments. Sometimes it pays not to reward "accidents" with an immediate upgrade! anonymous: Personally I would not bother, as I see it the problem with a lot of kids guitars is that they are not properly constructed. A real guitar often has a steel core to prevent warp, or is made of layers of wood, and at least dowelled. 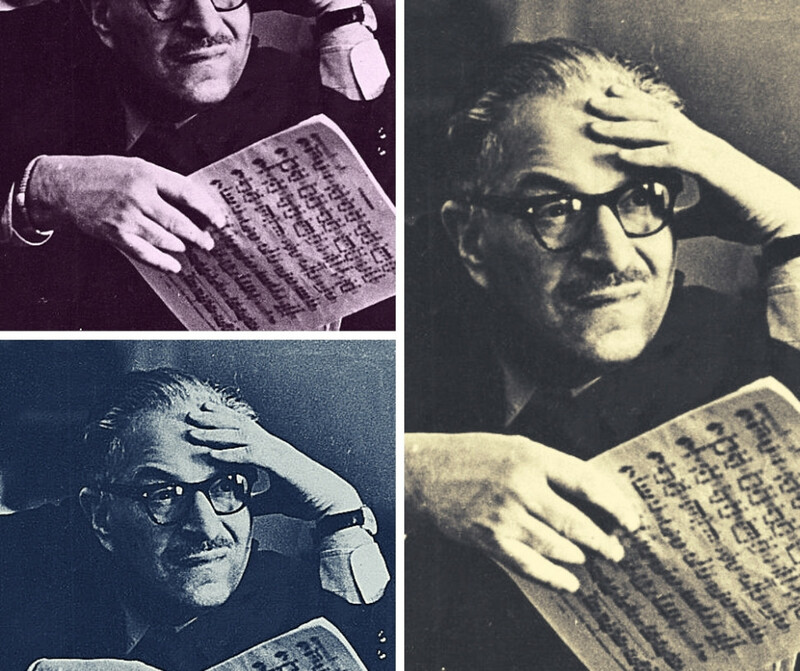 The tuning is affected by any mis-alignment and I feel it is better to provide an instrument that will stay in tune. That is not to say that repairs can not be done, but there is a reason why a "real" repair by a luthier is so expensive, it is not easy to repair accurately enough not to impair the tuning and/or tone. So in most cases a guitar in this price range is not worth repairing. The only reason I might is to keep a kid quiet until I could find a suitable excuse to replace it with a new one. By itself, that string is not going to be strong enough to ensure a secure repair, what we do next is really neat. 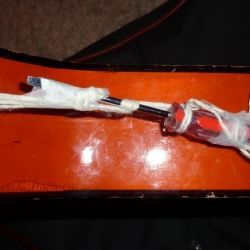 Using a screwdriver or pencil, insert between the strings and twist. Do this at the waist, where nothing touches the guitar, then secure the shaft and handle, or both ends of your pencil with some string. Tape over the string for extra security too. Do this both sides, and you will see glue squeezing out of the joint. If you have a G clamp, secure this over the fretboard at fret 12 with the heel, pad both and tighten. Unfortunately the juice ran out of my camera, so I did not photograph this step, but if the guitar has dowels in the joint and the fretboard has a clean break it will not be vital. At this point it is a good idea to clean away any surplus glue with a damp piece of cotton wool or tissue. Leave the guitar for at least 24 hours before you remove the string clamp. Loosen the "tourniquets" first, then the string will just slide away as it has stretched. At this point you can reattach the strings loosely, glue in the topnut if it has come away. Do not tune up to concert pitch immediately, but leave the strings loosely attached and then just let the guitar alone for about a week for the glue to cure. At this point, tune up to pitch gradually over an hour or two and hopefully the repair will hold up! I have actually done this emergency repair maybe a dozen times and it has always been successful giving the parents time to save up for a new instrument. The G clamp just helps to keep that repair snug while the glue sets. I wouldn't attempt a repair without one actually because of the tensions involved here. Professional Guitar Repairs and Set Ups - For great guitars! My emergency repairs are undertaken because these repairs are very expensive (more than the cost of a kid's guitar) . I don't recommend you do this to your favorite Martin, Gibson or Baby Taylor. If you have a great guitar in need of repair, take it to a professional for a proper reset or neck replacement please! Guitar repair articles covering fretted instrument maintenance, adjustments, repair and care. Neck Resets, Guitar Repair & Restoration By The Guitar Specialist, Inc. Neck Resets, a Guitar Repair Gallery by The Guitar Specialist, Inc.
Have you ever repaired a guitar? Perhaps you have done emergency guitar surgery yourself - what was your experience of the result? 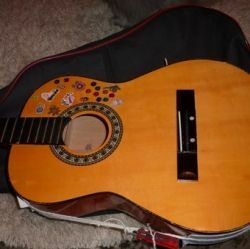 What is your experience of instrument repairs... - Have you ever fixed your kid's guitar? Never had to fix one yet but enjoyed all your tips on "how to"
2 of my guitars broke at the tuning peg when my younger siblings knocked them off their stands. I used some wood glue, big clips and binders to keep the pieces tightly together. I thinly spread wood glue on each of the pieces and wait for a few minutes for it to dry off then attach the pieces together, clip on the binders and leave it to set for 24 hours. 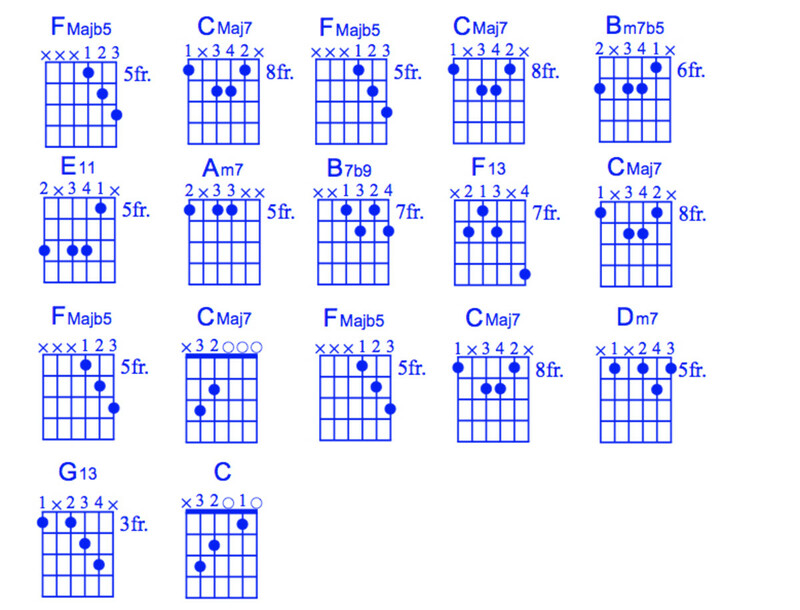 If not done properly, the guitar will not sound the same. 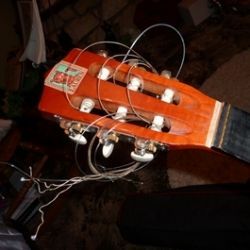 I give you credit for attempting this yourself, I've always gone to a guitar tech for this type of problem but I know I could have saved a lot by doing it myself. i hope i will never break my guitar necks. but this lens is sure useful. Cool Lens, I hope I never need to use it; my friend just bought me a guitar for my birthday. Awesome tips, I thought they were impossible to fix! Thank you for the great lens. I lifted the bridge on my Yamaha about 1/2 mm to eliminate a slight buzz, and filed down a couple of the fret irons. This cured all of the buzz, and I still play it 20 years on! I have never attempted a neck repair, although this is common in mids guitars which are often wall hung or placed under the bed only to be wrecked when Mum vacuums. I have to say when my stepdaughter's guitar broke years ago, we kept it for what seemed like forever. But because she never really became too interested, we eventually got rid of it. MY guitar on the other hand... well, I'd have to take it to a professional if I broke it. :) Really cool lens! Never fixed a guitar but if I ever do I will be referring to this lens! only setups but interesting lens! I haven't. but great tips! We are too much of a throwaway society these days - it's good to know how to fix things properly rather than wasting them. I have never had to do emergency surgery on any musical instrument, but after reading your lens, I think I could now. Great lens.